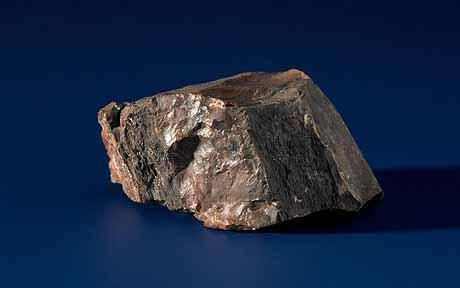 A moon rock given to the Dutch prime minister by Apollo 11 astronauts in 1969 has turned out to be a fake. Curators at Amsterdam’s Rijksmuseum, where the rock has attracted tens of thousands of visitors each year, discovered that the “lunar rock”, valued at £308,000, was in fact petrified wood. Xandra van Gelder, who oversaw the investigation, said the museum would continue to keep the stone as a curiosity. The rock was given to Willem Drees, a former Dutch leader, during a global tour by Neil Armstrong, Michael Collins and Edwin “Buzz” Aldrin following their moon mission 50 years ago. J. William Middendorf, the former American ambassador to the Netherlands, made the presentation to Mr Drees and the rock was then donated to the Rijksmuseum after his death in 1988. “I do remember that Drees was very interested in the little piece of stone. But that it’s not real, I don’t know anything about that,” Mr Middendorf said. Nasa gave moon rocks to more than 100 countries following lunar missions in 1969 and the 1970s. The United States Embassy in The Hague is carrying out an investigation into the affair. Researchers Amsterdam’s Free University were able to tell at a glance that the rock was unlikely to be from the moon, a conclusion that was borne out by tests. “It’s a nondescript, pretty-much-worthless stone,” said Frank Beunk, a geologist involved in the investigation.